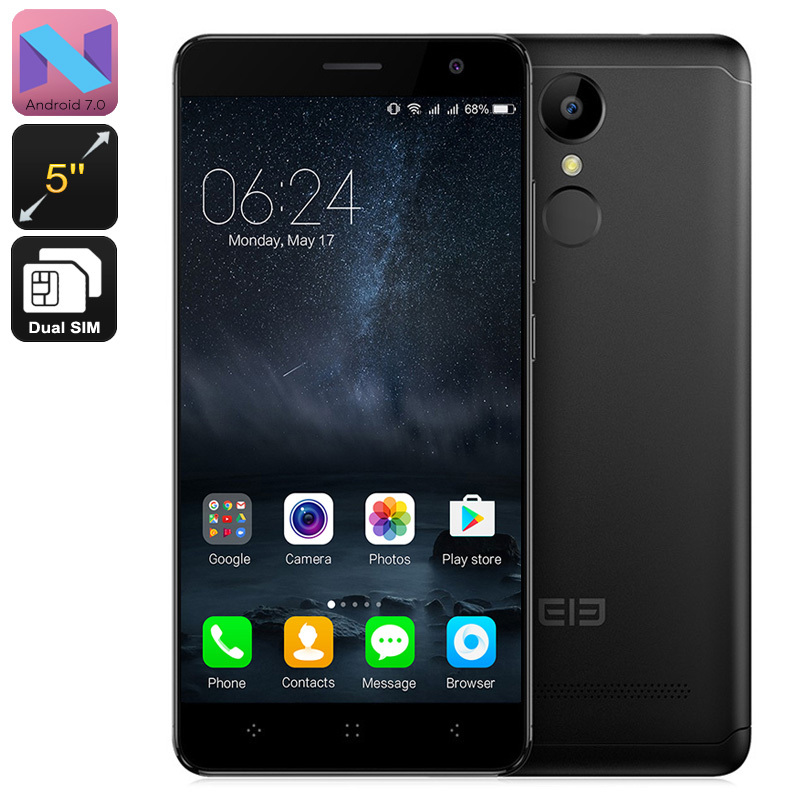 Successfully Added HK Warehouse Elephone A8 Android Smartphone - Dual-IMEI, 3G, Quad-Core, Android 7.0, 5-Inch, 1800mAh Battery (Black) to your Shopping Cart. If you are looking for a highly affordable smartphone, the Elephone A8 is perfect for you. This cheap Android phone below $50 runs on the Android 7.0 operating system. Therefore, you’ll be able to enjoy all the latest software features available. You’ll be treated to a smooth user experience no matter in which activities you engage. On the phone’s beautiful 5-Inch display, you can enjoy games, movies, and Apps like never before. Simply head out to the Play Store and you can download all your favorite media. This Android phone will treat you to hours’ of entertainment to come. Underneath its hood, the Elephone A8 smartphone packs a sophisticated Quad-Core processor. Along with 8GB ROM and 64GB external memory support, it lets you install and enjoy all the Games and Apps of your liking. To make sure that you can take the absolute most out of your cell phone experience, it packs a whopping 1800mAh battery. This cell brings along a stunning 21 hours of continuous usage time. You’ll be able to head out and get through multiple days of smartphone usage without needing to worry about running out of juice. Dual-IMEI numbers allow you to stay connected to two network providers at the same time. This means that you can always be reached on two phone numbers even though you just use one Android phone. You’ll furthermore be treated to 3G connectivity. With this, you can access the internet anywhere you are. From now on, you’ll be able to stay in touch with friends and family no matter where you’re at. With this cheap Android phone at your side, you’ll always stay connected. The Elephone A8 smartphone comes with a 12 months warranty, brought to you by the leader in electronic devices as well as wholesale Android phones..